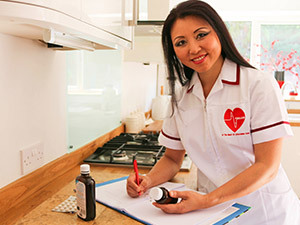 AA Nursing and Care Agency provide affordable and reliable 24-hour care. We always have someone at the end of the phone. A carer visits you in your own home and helps you with any daily activities you cannot safely manage on your own such as getting dressed , cleaning the house , cooking , going to the toilet and much more. A live-in carer lives with you in your own home and allows you, or your loved one, to stay at home in familiar and relaxed surroundings with a bespoke level of one to one support. A trained care worker will provide support to clients who are in the last months or days of their lives, making sure that they are as comfortable as possible. Someone who will assist assist with everyday details and friendly conversation. We cover the Bromley area (Penge, Beckenham, West Wickham, Grove Park, Mottingham) Orpington (St Pauls Cray, Pettswood, Farnborough) Biggin Hill, Keston, Chesfield, Dartford. Can I request a change of Carer? Yes, your carer can be changed as soon as another one is available. How much notice will I need to amend/cancel a visit? A minimum of two hours. 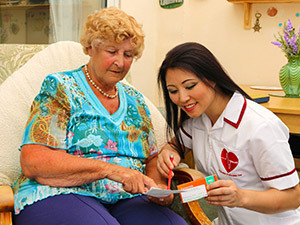 Do you provide Care at short notice? Yes, we do have a 24-hour cover service. Do you have a out of hours’ telephone number/service? 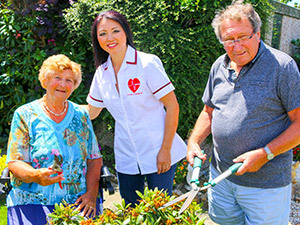 Are your carers fully trained? Yes, all carers are fully trained and competent, they receive a refresher training every year. "When my Mum became bed bound, she had to come and live with us and AA Nursing Care became her primary carers; attending to her four times a day, seven days a week. Quietly and quickly they have become part of the daily routine of the household."